Home / News / HR What should we expect from MLG Columbus Major Qualifier? What should we expect from MLG Columbus Major Qualifier? To begin with, it's noteworthy that the whole CS:GO roster of HellRaisers has been in Kiev, Ukraine since Sunday. They all will be trying hard until Thursday of this month to get ready for the upcoming qualifiers for the American Major, which will run at this weekend. To reach MLG Columbus Major the teams will have to beat their rivals in the groups twice, not having fallen into the lower bracket. Having made a mistake, there won't be such a chance again. If players lose once, they will increase a number of possible matches by one and will take a huge risk. Let's see against what teams our five will have to face off against in a few days. mousesports is a German team, that was founded in 2002. Many players from Germany, Great Britain, Norway, Denmark, Greece, Turkey, Finland and Serbia have played on this team so far. The biggest achievement of the mice for the last two years was the gold at Acer Predator Masters Season 2 and the silver at СEVO Season 8 Professionals. It's also noteworthy that in 2010 year mousesports were the winners of IEM IV European Championship, having won team fnatic in the final with a 2:1 score in the series. Recently the guys from this team have got in shape, having taken the eight position in the rating of the best teams in the world for 2016, according to hltv.org. In total this team has played 394 matches, 214 of which ended in their favor, and 20 more ended in a draw. The winrate equals 54%, which is thought to be a quite good result. As for meetings with our team, it is not as smooth as in bo3 battles with Virtus.pro. For the last 9 matches mouz have beat HellRaisers 4 times and ended in a draw three times. While HellRaisers have the very victory in the bo7 series in the final of Acer Predator Masters Season 1 and a victory on train with a 16:13 score within EEPL Season 2. On the other hand, matches ran quite rarely, and the last one was played in June of the previous year, which makes this statistics less accurate, since the rosters have been changed, and so has the game. At the beginning of this year American organization Team Liquid announced signing of the Ukrainian player under the nickname of s1mple, who had played on HellRaisers and Flipsid3 Tactics before. The management of the organization placed a bet on the young player with a view to increase chances of the team to take the first position in the North American division. Moreover, on the first of February of this year Aleksandr Kostylev was unbanned at all tournaments powered by Valve, which was surely considered during the signing. The updated roster of the team has been playing official matches at ESL Pro League Season 3 since 11 February, but the first serious challenge for them was the qualifier for IEM Katowice 2016. At that time, having reached the 1/4, Liquid faced off against the Brazilians from Tempo Storm, who were not willing to give a victory to the rival at all. Following the results of the intensive match, Tempo Storm won with a 2:1 score in the series, knocked out Team Liquid from the qualifiers, won all the next matches themselves and gained a quota for IEM Katowice 2016. Then, by the way, in the roster of the American team there was adreN, who after a short while was replaced by koosta. Having gained experience, the guys from Team Liquid did not get dispirited and decided to storm the qualifier for DreamHack Masters Malmö, which came to the end this night. Team Liquid braced up and together with koosta won it, having done away with CLG in the final. During its history Team Liquid hasn't had many considerable achievements, though in 2015 they did take first places at ESL ESEA Pro League Season 2 – North America and iBUYPOWER Invitational 2015. 216 official matches were played under this tag, 132 of which ended in its favor, 79 ones were lost, and 5 more ended in a draw. The total winrate is 61%, and the team takes the 16th place in the world rating of 2016, according to hltv.org. HellRaisers and Team Liquid have never met each other before. 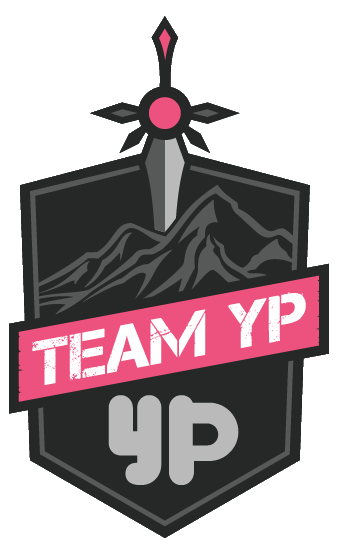 Team YP is a quite young organization, since it was founded in 2014. The CS:GO roster was signed at the end of 2015, and at that moment in the team there were such players as SotF1k, Dima, krecker, COLDY and 1uke. As time went on, the management of the team made some changes, due to which the last three players were replaced by DavCost, arch and kibaken. This Russian team, unlike the previous two, has way fewer achievements. They managed to take the first place at the weekly tournament powered by platform D!ngIT. And, of course, the 1-2 places at MLG Columbus 2016 – CIS/Europe Last Chance Qualifier, thanks to which this team will take part in this race. Team YP have played only 20 matches with the total winrate of 40%, having taken the 248th place in the world rating, according to gosugamers.net. The last match of theirs was against team E-Frag.net, and it ran within UCC: Europe; at that time the Bulgarians were the ones to come out victrious, having ended the bo3 meeting on the first two maps. Team YP have never met HellRaisers in official matches before. It's noteworthy that this team is facing huge problems now, since their two players have not managed to get the visas for the USA — Dima and S0tF1k will not help the team at this probably the most important tournament in their esports career. Two players from the Polish CSGL team innocent и SZPERO will stand in for them. Though we all understand that the five will not able to play to the full extent of their power. To sum up, we can say that Team YP are outsiders of the group, since these guys will have to play with two stand-ins, not having either tactics or a team play. mousesports might be the ones to get out from the first place at MLG Columbus Major, since, as it's already been said, they've got in shape. While such teams as HellRaisers and Team Liquid will fight for the second place, though it is not that simple here either. No so long ago Team Liquid announced adreN had left the team, and that he would be replaced by koosta. According to the rules of the tournament, koosta can't play on the team at the qualifiers, so the team is looking for a stand-in. Yesterday one of the players informed that mOE will play on Team Liquid at the qualifiers, but a few hours later this information was denied. Should we expect the team to play with a stand-in, when there are so little time left before the tournament? In addition, s1mple, on whom the bet is placed, might not have accustomed to the teammates yet. We will find the answers to all these questions at this weekend! «At first sight the group of our guys seems good. And if we get a better look at it, we will see that it's actually perfect. And if it's quite clear with mouz: the guys showed a great game a week ago at the LAN Finals of APM S2 and now definitely are the favorites to reach the first place, then the other opponents are having big issues with their rosters now. Team Liquid cannot come up with their fifth player, while Team YP have taken the two Poles, with whom there will be some problems in communication (it's a weird decision, by the way, to give the role of the in-game leader to one of them). However, there is another important moment, that is best-of-one matches. It makes very important games more random, where luck in two-three situations might decide the outcome of the quota for the Major. And upon whom will it smile? So, the game with Team Liquid will be very difficult, but HellRaisers should cope with it, considering the situation. Team YP will unlikely manage to stand up to mousezports. An elimination match, which will run in the best-of-one format, might become a surprise though — here I find it hard to place a bet. And the most important is the best-of-three series for the second quota. Despite all the previous games and possible situations, here the victory will come to the strongest and the most prepared five, and now it is HellRaisers. We'll see how it work out. I wish the teams to set up psychologically, first of all, since it is extremely important».